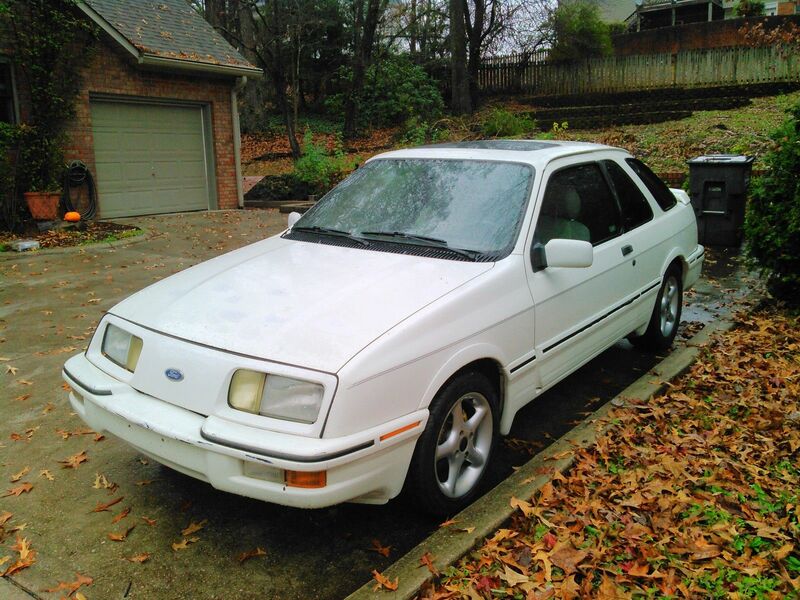 Find this 1989 Merkur XR4Ti here on eBay bidding for $1275 with one day left to go, located in Cookeville, TN. Tip from David. 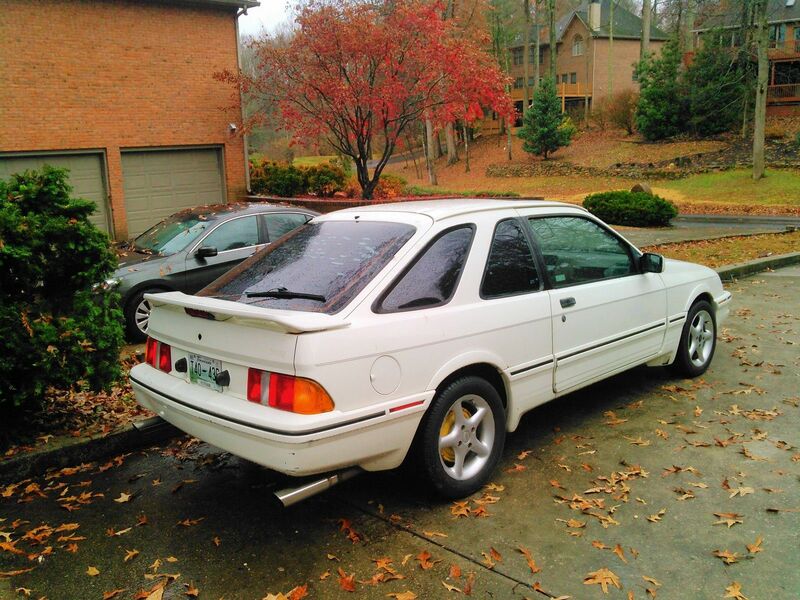 1989 Merkur XR4Ti (aka Mk1 Ford Sierra). 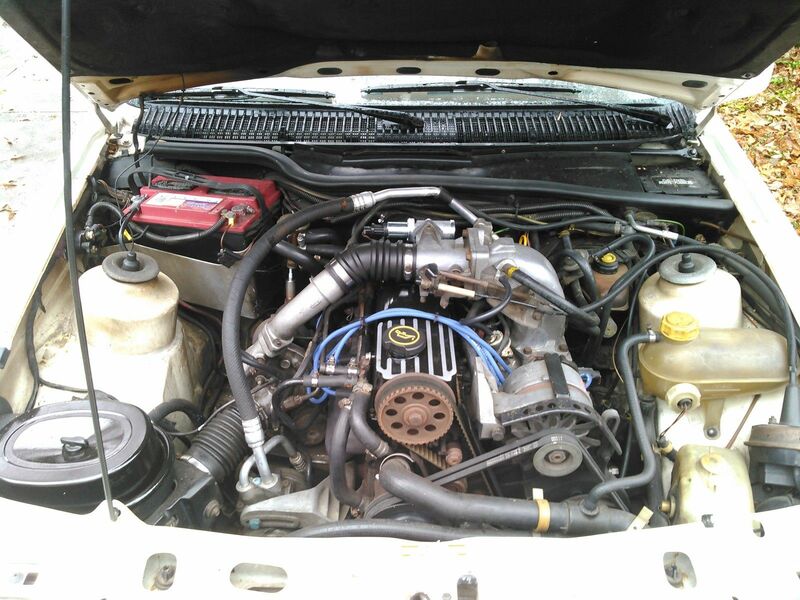 2.3 liter 4 cylinder turbo, manual 5 speed transmission, 4 wheel independent suspension, leather interior, low mileage. I used to be very active in the Merkur community back in the late 1990's to the early 2000's. I sold all my Merkurs and had not touched one for about 15 years until I picked this on up earlier this year. It had a lot going for it. It is a 5 speed car, in my favorite interior/exterior color combination, the dashboard is not cracked and it wasn't rusty. The engine, transmission, rear end, and brakes are excellent on this car. I had planned to make it into a nice driver mechanically and cosmetically. I've done a lot to it, but other car projects are taking my time and this beauty just sits in my driveway. I will detail everything I have done to the car, and everything I know about this car. If you have any questions please feel free to ask. 2. Completed a full tune up on the engine, including spark plugs, wires, cap, rotor and air filter. 3. Replaced the valve cover gasket. 4. Installed a brand new turbo oil feed line. 5. Installed a brand new Idle Air Control valve. 1. It's very solid. The only rust I have found on the car is a very small patch on the drivers door, and I've been all over this car. 2. The engine is sweet as a nut. 4. Dashboard is not cracked at all. 5. Power windows both work great. 6. Transmission, rear end and brakes all work great. 7. 2.5" downpipe through a 2.5" Flowmaster muffler into duals. Sounds amazing!! 8. Original paint so no issues are being hidden. 9. Very period Borbet 15" wheels. 11. Carfax proven low miles. 1. Power steering has a huge leak. It works when you fill it, but leaks out very quickly. 2. It needs door and hatch locks. 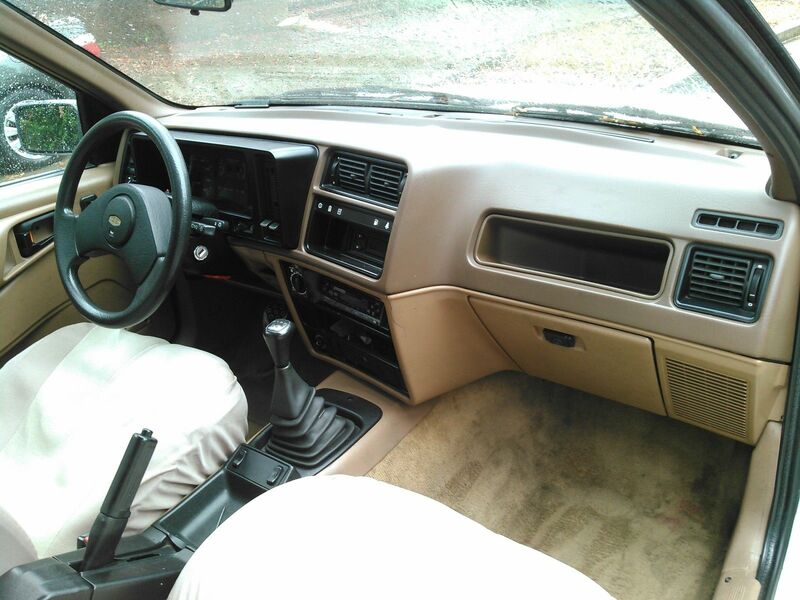 Ignition key is included and works fine, but the door lock keys are MIA. 3. The battery is toast. After a full charge, it will start it a couple of times then it's done. Alternator has been tested and is good. 4. Front seats leather is badly cracked. 5. Rear parcel shelf has been cut for speakers by what appears to be a jig saw wielding Muppet. 6. Passenger side front tire has a leak. 7. Paint is original, but it has been touched up in patches on the hood by the same Muppet that butchered the parcel shelf. 8. The gauges work intermittently.. Typical Merkur issue, that just needs some solder joints re-flowing on the board. So, there you have it, a detailed and honest description. I would prefer that the buyer not try to drive it home due to the power steering leak issue. But it's the buyers call. I have only driven the car a short distance since buying it, basically moving it around my neighborhood. Check out the pictures, if you have questions, please ask. Buyer responsible for shipping. Deposit due immediately after listing ends. Car is sold with no warranty expressed or implied. Needs to be collected and paid for within 14 calendar days of listings end. As for the jigsaw-wielding Muppet, the obvious choice is Animal. But I'm thinking Miss Piggy after a major disaster at the hairstylist. Back then, she thought is said XR Rati. Wasn't HS great? I feel like the styling is to European and avant. My friends and neighbors wouldn't understand it. It is like when I bought the leather shoes that flipped up at the ends. For now I will keep driving my Taurus to not attract any attention to my European longings. I will roll up the windows so no one can hear my Yaz mix tape.